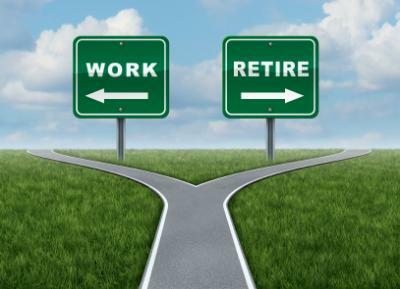 Transition to Retirement (TTR) pensions were introduced back in 2005 with the view to provide Australians greater flexibility in regards to their retirement. The idea behind their introduction being the ability for a person to switch from full time to part time or casual working arrangements, whilst accessing some of their superannuation savings to replace any reduction in their income. There are actually three main ways you can use a TTR Strategy in preparation for retirement. Boost superannuation savings and reduce tax. A TTR Pension is an income stream purchased with superannuation monies. A person must have reached preservation age to commence a TTR Pension. Each year a pension payment between a minimum amount of at least 4%pa and a maximum amount of 10%pa must be withdrawn. All earnings on the investments within the TTR pension are tax-free. Income drawn as a pension payment by those aged 60 and over is tax-free. The tax-free component of the pension payments withdrawn by those aged under 60, are tax-free. The taxable component is classed as taxable income and subject to tax at marginal rates, with a 15% tax offset (rebate) attached. A TTR Pension is a non-commutable income stream, meaning that lump sums cannot be withdrawn from the pension. At age 65, the TTR pension will convert from a non-commutable income stream to an account based pension income stream. This means that all restrictions on the maximum pension payments and ability to take lump sum withdrawals are removed. Julie is 57. She is happy in her current job and intends to continue working full-time. Julie has a number of expenses coming up and she wishes access so additional income via a TTR pension. Additional Income to help meet living costs and other expenses. The taxable component of the pension payment will be deemed as assessable income but will receive a 15% rebate. If Julie were over 60 years old then the income from the pension would be tax-free. Julie’s superannuation savings may reduce due to the regular payment of a pension. If superannuation contributions aren’t made to replace the amount withdrawn, then the available capital at retirement as well as the length of time your capital lasts in retirement is likely to reduce. 2. To reduce working hours, whilst maintaining your full-time wage or salary (but not contributing any extra to superannuation). Steven is 62. He is not ready to retire just yet, but he would like to have more of a work/life balance. He decides to switch from full-time to part-time working hours. To top up his reduced salary he decides to draw a regular income from a TTR pension. Ability to maintain the same after-tax income, despite reducing work hours. TTR pension payments are tax-free as Steven is over 60. Potential reduction in personal tax. Income is limited to a maximum of 10%pa. Depending on the TTR pension account balance a 10% pension payment may not be sufficient to cover the income shortfall. Superannuation savings will reduce due to the regular payment of a pension. If personal or employer contributions are not made to replace the amount withdrawn, then the available capital at retirement and longevity of capital in retirement is likely to reduce. Tom is 60 and plans to keep working until age 65. He wishes to use the next five years to boost his superannuation savings and save tax. Tom decides to start making salary sacrifice contributions to his superannuation fund. These contributions are taxed at 15%. This tax rate is less than the tax Tom would pay on the equivalent amount of salary. To supplement the reduction in his salary, Tom commences a Transition to Retirement pension and draws an equivalent regular pension payment. As Tom is over 60, the income he draws is tax-free. Ability for Tom to maintain income whilst boosting his superannuation balance by making salary sacrifice contributions. Potential reduction in personal tax (i.e. tax saved on the pension as opposed to paying tax if he received the equivalent amount as salary). Although tax savings may be generated (through the replacement of taxable income with tax-free income), the actual tax advantage will depend on Tom’s taxable income and marginal tax rate. Tom will be required to hold two superannuation accounts: A superannuation accumulation account (to receive contributions) and a TTR pension account (to pay pension income). Multiple accounts may increase complexity and result in additional fees or duplication of costs. Pension income is limited to a maximum of 10%pa. Depending on the TTR pension account balance this may be insufficient to cover the shortfall required. Although popular, a TTR Strategy may not be appropriate for everyone and it is certainly not a one-size fits all strategy. Implementing this strategy involves careful consideration of many factors including age, salary, superannuation balance, income requirements, and tax position. If you’re considering a Transition to Retirement Strategy, seek personal financial and taxation advice on the merits of this strategy for your personal circumstances.